Now that filming has moved on from Augusta, we are no longer getting the daily updates on filming. There wasn't really much information shared, but I still found it kind of cool, and am going to miss those updates. the lead actor with girls in bikini in a car wash scene? this is getting interesting. Of course, that could be. I'm just curious to see what is gonna happen next. Casting is ongoing this time looking for US marshals in Atlanta. Clint was at Shane's Rib Shack. Looking awesome. If Warner Bros likes it, this movie can have an American Sniper schedule. Or a Gran Torino one. The Mule sounds good to me and is one of the coolest Eastwood projects in recent years. Earl Stone is a character who seems close to Walt Kowalski, Frankie Dunn, Luther Whitney, William Munny or Tom Highway. In other words, it's an Eastwoodian character. Pure and simple. Considering the potentials of this project which benefits from likes of two great actors from 2 different generations in lead roles, a great story penned by a great scriptwriter and its amazing crew, like the great Joel Cox who is back in editing room again and Yves Belanger as the DoP, I can tell in advance that this is a fantastic movie already. And if Warner Bros decides to push for it, this could be Eastwood's ace in Oscar season again. Hope so. As soon as I discover the premier date for this film, I plan on taking that day off from work and being the first in line. I hope he doesn’t retire anytime soon but if he does, I pray it’s after a film he’s starred in, rather than directed only. That would be a bummer. What is your best guess on the amount the budget of the film guys? do you think its a small budget one 20-25 or a middle one 50-60? My guess would be pretty ill informed, but someone at the Augusta Film Office said he thought the budget was $20-25 million. He may just be speculating though. This information hasn't been released. 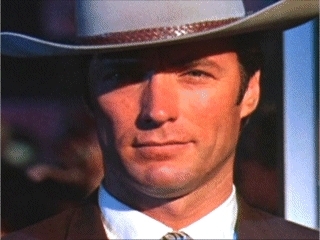 20-25 million is a small figure even for Eastwood's standards. My guess is around the mid thirtees scale at least. I've read this article before. But I reckon this is too small for an Eastwood picture. The 15:17 to Paris with its non-actors in lead had 30-35 million bucks budget, considering its small advertisement scale. My best guess is around 50-60 just like American Sniper. I don’t know but I would say between 30 M$ and 60 M$. Sully cost 60 M$, American Sniper cost more than 58 M$, Jersey Boys cost 40 M$. His most expensive movie remains Flags of Our Fathers which cost 90 M$. In the Mule, Bradley Cooper must be the highest paid actor. Apparently, we have a court scene in the movie.